Angel di Maria, just like Lionel Messi, Cristiano Ronaldo, Zlatan Ibrahimovic and Yaya Toure joins the list of players whom Arsenal almost signed. Di Maria cost Manchester United a record breaking fee of £59.7million for a transfer from Real Madrid, but Wenger revealed that he signed the Argentinian superstar for free when he was just 17. 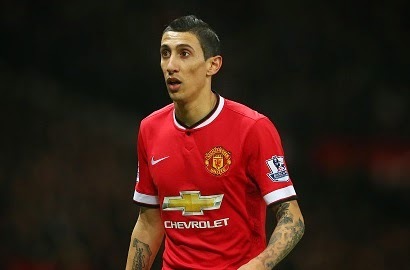 The deal, though, couldn’t be completed because Di Maria was unable to attain a work permit. And it seems like Arsenal are going through this again, as they try to sign Brazilian defender Gabriel Paulista. Wenger thinks the idea of work permits should be abolished and borders should be completely opened up in football as it is unfair to stop non-European players playing for The Premier League. "We had identified Di Maria when he was 17," he said. "We wanted him to come here. So he goes to Portugal [with Benfica], from Portugal he goes to Spain. Why? Because he could not get a work permit. That means you can only get him to England once he is worth a huge amount of money. "Messi is a different example because he was in Barcelona from a very young age. But a player like Di Maria, he left [Argentina] at 18 years of age. We saw him in an international competition. "What does it mean if at the end of the day he comes anyway into the country, just with a huge amount of money and that is the only difference. And who do you pay this huge amount of money to? A club like Real Madrid. They don't need the money. "Let's open it completely. We live in a world where artificial protection is negative. "If you want to be the best league in the world then you have to accept that you have to produce the best players in the world so the question is how can you produce the best players? "One thing is for sure, if you put a young player with top level players he has more chance to develop. If you put him with average players he has more chances to remain average. We have to accept that." Wenger says that the deal of signing Paulista has 50% chance as the player does not have a European passport and has never played for Brazil so he does not fit the criteria. The manager says that he will never change his footballing philosophy and has set up the team to be more disciplined and defensive rather than having an attack minded approach. He said: "I go from being too romantic to too pragmatic. We knew that it was important for us to be a bit more cautious. We wanted to be a bit more reassured. "We are not going to change our style. Of course we want to be defensively strong but we want to play."